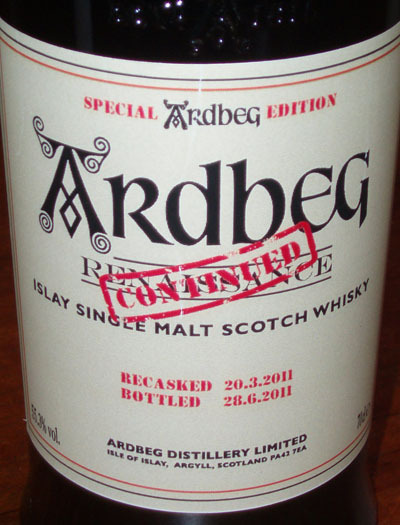 Disclaimer: This is NOT an official Ardbeg bottle...see story below!!! Here is a short story of the "Renaissance Continued", as told by the creator, Mika. 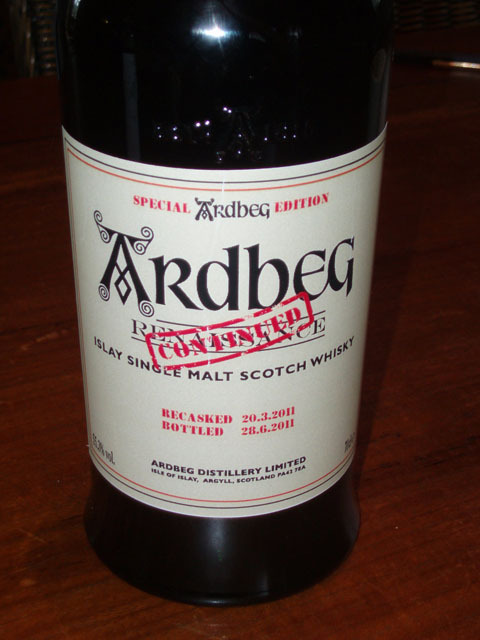 It started in the summer of 2010 when i purchased a small, approximately 5 liter charred cask. I then of course had to fill it with water for a few days to make sure it wasn't leaking and let it swell for awhile. After filling and testing with water, it was then filled with some sherry. 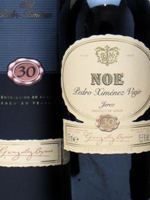 I filled it with 2 bottles of Gonzales Byass NOE 30y Pedro Ximenez and the balance with Gonzales Byass Solera 1847 Oloroso Dulce. By this time I noticed it was a bit bigger than 5 liters. I had the cask sitting in my friends root cellar, which has a nice cold, damp climate. The sherry then was left in the cask for a period of 4 weeks, constantly sampling it, making sure nothing was going wrong with it. 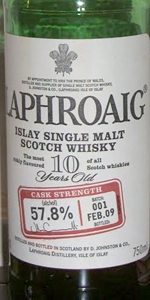 After that we poured the sherry out and filled it with Laphroaig Cask Strength Batch 1. We poured in 7 full bottles + about 2/3 of a bottle, which was then left at the cellar in the cask for just 3 weeks. We bottled it on 1.9.2010 as a Batch 1.1, with 7 bottles coming out of the cask. This experiment turned out great! Now I was ready for the main event, something that had been in my mind for awhile... 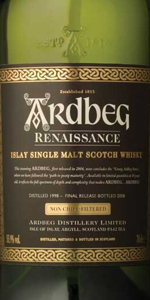 Doing the same for Ardbeg Renaissance! 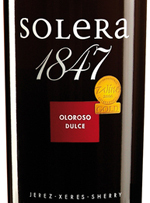 A week after we had bottled the Laphroaig, I poured some of the same sherries back in the cask, topping it off with the GB Solera 1847 Oloroso Dulce. This time I let the sherry sit there a bit longer, for about 6 months. Now I had the cask also sitting on my bar counter, which had me a bit worried about the possible evaporation this time around. Here is a picture of the final product, with custom label made by the creator.